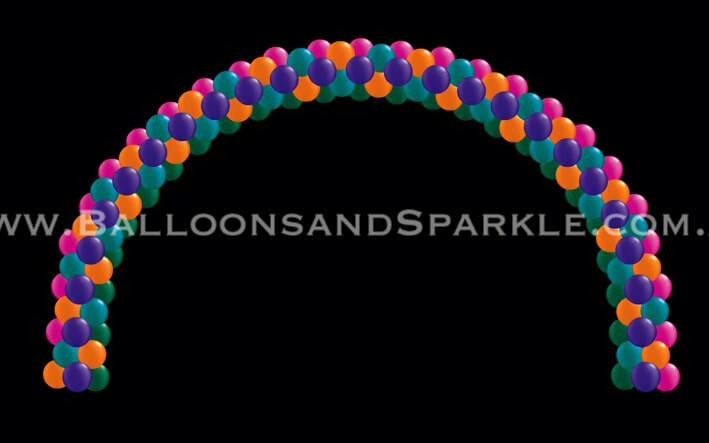 Here we show you the 4 different patterns you can choose from when ordering a balloon arch. 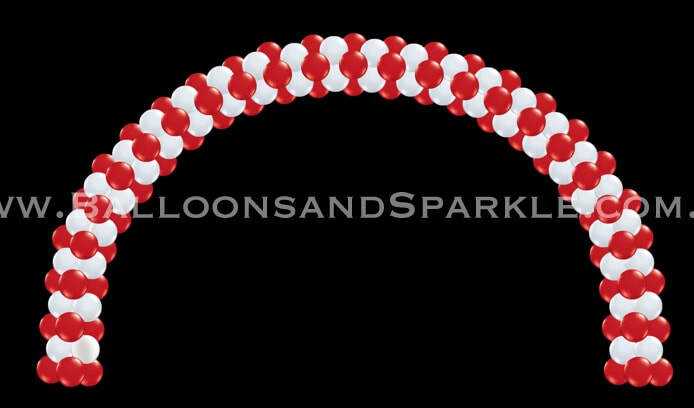 These arches are all 3 dimensional air filled or helium filled balloon archways. These are perfect for Entrances, over the stage , dance floor, to highlight a storefront etc. The above arch is a Block pattern arch, where the colours are stacked in blocks and then repeated as the arch progresses. This arch can be any colour combination and as long and high as required. 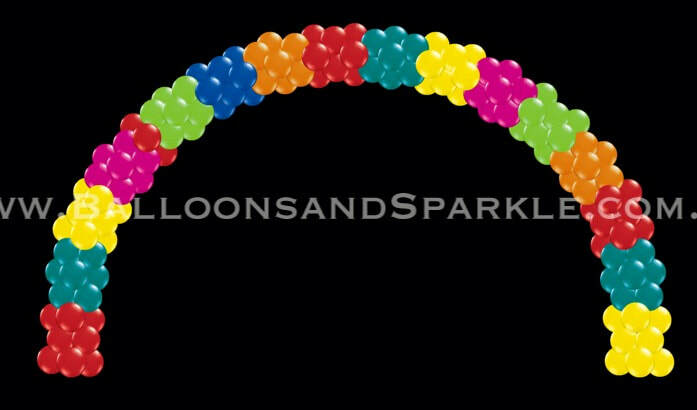 Anything longer than 5 metres wide we always do helium filled. The above arch is a layered arch, where the colours are layered one on top of another, the colour changes with each layer, unlike the block pattern where blocks of colour are layered. This arch can be any colour combination and as long and high as required. Anything longer than 5 metres wide we always do helium filled. The above arch is a random patterned or multicoloured arch. There is no pattern to this arch it is a sea of bright colours in random order. This arch can be as long and high as required. Anything longer than 5 metres wide we always do helium filled. 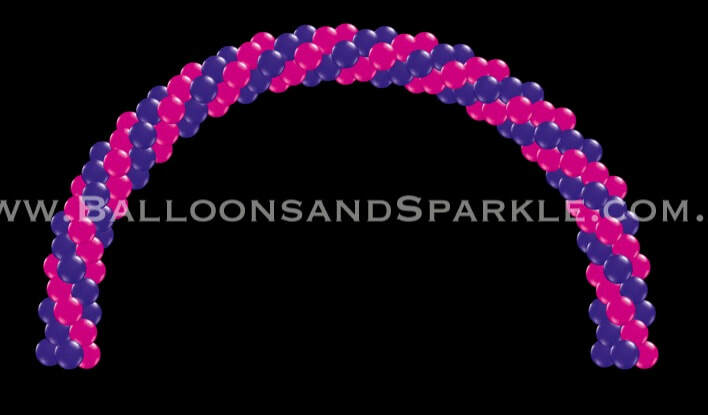 The above arch is a SPIRAL pattern and probably the most popular pattern in balloon arches. This is limited to 4 colour maximum and is best with 2 colours in our opinion. This arch can be any colour combination and as long and wide as you like.